Experience Beauty 1000 Islands Visit one of the most beautiful places on earth and enjoy everything the magnificent 1000 Islands have to offer. 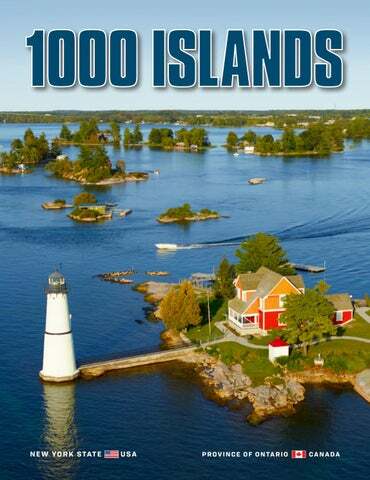 What is the 1000 Islands? It’s hard to say. It’s a place that not enough people know about but also a destination that attracts visitors from around the world. It’s where families and friends gather along the water to dine, swim and cast a fishing line. It’s where first-time visitors look in awe as their tour boat guides them past seemingly countless islands with mansions, lighthouses and fairytale castles. Even after a cruise, some find it hard to believe that a place with so many islands—1,864 to be exact—exists in North America. It’s sunsets reflected by the St. Lawrence River and Lake Ontario. It’s a place that once belonged to the Gilded Age rich that’s now enjoyed by everyone. For some, the 1000 Islands is zip-lining, kayaking and boating. For others, it’s enjoying a cool beverage – made just down the road – while sitting in a dock chair, watching mammoth steel ships lumber by. It’s hard to sum up because there’s few places like it in the world and the 1000 Islands can be enjoyed in so many different ways. You’re invited to visit and discover what the 1000 Islands is to you. For some, it’s the familiarity of greeting their favorite B&B host-turned-friend. For others, it’s the first time at a camp site they’ll book for summers to come. The 1000 Islands is a boater’s dream with endless passageways, channels and coves to explore. Rock Island Lighthouse, Fishers Landing, NY, is open to private boaters and cruise boat passengers. Image and additional photos in this guide provided by George Fischer; others copyrighted by the 1000 Islands International Tourism Council unless otherwise noted. Follow the 518-mile signed Great Lakes Seaway Trail National Scenic Byway at your pace along the St. Lawrence River, Lake Ontario, Niagara River and Lake Erie in NY and PA to discover breathtaking scenery, coastal culinary adventures, and fresh outdoor fun. Explore the shore and 40 State Parks. Linger in the 1000  Islands at Alexandria Bay, board a boat tour to Boldt Castle and cruise from Clayton aboard an 5H[\YHSAntique Boat Museum vessel. In Cape Vincent, )YPKNL/HYYPZ]PSSL Drive, dive, visit a lighthouse and an aquarium.  camp, fish, bike and birdwatch all along the way. Charter fish out of Henderson Harbor. Enjoy nature trails and geocaching. The byway leads to Niagara Falls, Rochesterâ&#x20AC;&#x2122;s Strong National Museum of Play, metropolitan Buffalo and so much more. Experience the Journey: seawaytrail.com. omissions in this publication. 3/19 285M All Rights Reserved. Scenic Boat Cruises he most popular way to see the islands is aboard a boat cruise! Tours depart throughout the day to cruise visitors past fairytale castles, stately mansions and historic lighthouses. Tour boats zig-zag among the islands while guides entertain with true stories of pirates and bootleggers and point out homes owned by titans of industry and secret societies. Cruises range from 1 to 5 hours; some include stops at Boldt Castle, Singer Castle and Rock Island Lighthouse. You can pair your sightseeing cruise with a luncheon or dining excursion or enjoy a twilight tour that includes tastings by local wine and beer producers. Be sure to check for themed-party cruises, fireworks outings and other special tours throughout the season. Fall is a popular time to cruise because visitors are treated to a â&#x20AC;&#x153;mirrored-effectâ&#x20AC;? of colorful fall foliage from the islands reflecting off the water. Cruising season fluctuates depending on weather but most tour companies start in late April and wrap-up in November. Singer Castle Tour Lunch & Dinner Cruises 1-hour & 2 1/4-hour sightseeing cruises Direct shuttles to and from Boldt Castle every half hour Unlimited stopovers at Boldt Castle Completely open top decks. Heated, glass-enclosed lower decks for all-weather comfort No passports or visas required. Professional Tour Guides. Fully licensed concessions. The best values in touring the 1000 Islands are found at Uncle Sam Boat Tours! We’re so proud of where we go, we put our routes right in our brochure. See your tour boat and where it goes before you buy your ticket. Don’t be disappointed!!! ive into the history of this waterway at nautical museums that do more than just explain our love of water…they actually get you out onto the river! Learn of the massive hotels that once dotted the islands during the region’s Gilded Age heyday and discover why the 1000 Islands is an important site in Canadian history. Historic forts, War of 1812 battlefields and more await. Lighthouses Tibbetts Point Lighthouse 33435 Co. Rt. 6, Cape Vincent, NY 315-654-2700 Accessible by vehicle, just a short drive from downtown Cape Vincent. Rock Island Lighthouse Rock Island, Fishers Landing, NY nysparks.com, 315-775-6886 Accessible by private watercraft and aboard Clayton Island Tours. oist air from the river and lake combined with fertile land makes the 1000 Islands an ideal environment for growing the cold-hardy grapes, grains and fruits needed to create award-winning wines, beer and spirits found in our hotels, restaurants, downtown lounges, farm-side tasting rooms and aboard our beverage cruises. Check out the craft beverages section on our website for a list of producers on both sides of the border and get ready to enjoy a taste of the 1000 Islands. ho’s ready for some fun? Catch a breathtaking view of the islands from above at the 1000 Islands Tower, or if you’re really looking for unique vantage point, fly with 1000 Islands Helicopter Tours! Immerse yourself into a world of discovery at the Aquatarium, where you can communicate with freighters plying the seaway. Revel in the antics of river otters at the Aquatarium and New York State Zoo or get up close to more than 1,000 animals at Old McDonald’s Farm! Drive-in movie theaters, mini golf and go-karts add a slice of summertime nostalgia to any trip. Whether your group is all adults—Shorelines Casino Thousand Islands comes to mind—or you’ve got little ones, there’s plenty of spots to let loose and have some fun. njoy the great outdoors at these public recreation areas. New York has more than 25 parks in the region including thousands of campsites. The Thousand Islands Land Trust and Indian River Lakes Conservancy have preserved thousands of acres for walking, cycling and cross-country skiing. Ontario Parks provides camping, hiking, fishing, boating and more. Thousand Islands National Park has more than 20 islands with campsites. Background photo courtesy Schmitt Shoots!! ll of this water and woods can be a thrillseeker’s dream. Zip among the treetops at Skywood Eco Adventure park, Canada’s largest aerial playground, or fly above the river on a jet-propelled flyboard with All In Adventures! Dive beneath the surface of Lake Ontario and the St. Lawrence River and check out preserved wrecks; outfitters offer lessons and guidance for newcomers and refills for experienced divers. Check whitewater rafting off your bucket list by heading to the Black River in Watertown, home to some of the most challenging rapids on the east coast. Skydiving, horseback riding and more await those looking to add some kick to their vacation in the 1000 Islands. pecific forms of identification are required for travel between the two countries. At press time, recommended forms of identification are: a passport, passport card, enhanced driver’s license approved for border travel or a NEXUS card for frequent crossborder travelers. Regulations regarding exemptions and restrictions for belongings or merchandise brought across the international border exist. Immigration and customs requirements are subject to change without notice. American boaters entering Canadian waters – but not dropping anchor, docking or touching land – may report entry via the Telephone Reporting Centre. Calls may be made from mobile devices while on the water. The Reporting Centre can be reached at 1-888-226-7277. Adirondack Trailways (Watertown, NY Station) 800-776-7548 trailwaysny.com Service from Syracuse to Watertown, Gouverneur, Canton, Potsdam, Massena. Greyhound Canada 800-661-TRIP greyhound.ca Servicing the 1000 Islands-Ontario with stops and/or ticketing stations at Brockville, Cornwall, Prescott, Kingston. Come enjoy our RV sites, cottages, rental boats, pool, marina slips, and water sports. 300 full hook-up sites with 50-amp electric. Located on the Eastern shore of Lake Ontario. Open May 17 to October 15, for the 2019 season. So if someone asks, remember two things: above water all year and at least one tree. Anything less is just a shoal. THE 1000 ISLANDS first class! mansions harkening back to the region’s time as a playground for the wealthy to modest fishing and hunting camps. Heading INTO the USA? 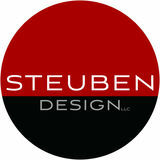 STOP, SHOP and SAVE! PAY NO TAX and Enjoy DUTY FREE SAVINGS! Limit ONE coupon per transaction. NOT VALID on tobacco products. OFFER EXPIRES December 31, 2019.
elcome to the heart of the 1000 Islands and home to Boldt Castle, the real-life fairytale island castle that annually hosts hundreds of thousands of visitors. “The Bay” is your stop for fun in the 1000 Islands; boat cruises, golfing, boating, fishing and more are why so many choose to stay here when visiting the region. Boldt Castle sits just off the shoreline and can be seen from many spots throughout downtown including several hotels and resorts. Uncle Sam Boat Tours departs daily from a downtown harbor, offering a variety of sight-seeing and dining cruises plus stops at Boldt and Singer castles. The calendar is chock full of events ranging from highlights such as the new Country Kickoff to Summer, Thousand Islands Motorcycle Rally and Bill Johnston’s Pirates Days to fall mainstays like Blues in the Bay and the Wine Festival & Farmer’s Market. Winter warms up with the popular polar dip, Vintage Snowmobile Show and pond hockey tournaments on the ice! The Bay has something for everyone, from fly-boarding, mini-golf and gokarts to hiking trails, craft beverage tasting rooms and fishing charters. Looking for live music? Alexandria Bay is known for having more than 800 live performances from June through September. Visit a winery or distillery, rent a boat, have a picnic at one of the eight nearby state parks or along the waterfront at Scenic View Park and Casino Island that is accessible by a footbridge. Whatever it is that your heart desires, you will find it in the heart of the 1000 Islands! HISTORIC SITES AND MUSEUMS NEW YORK Alexander Corners Veterans & Pearl Harbor Memorial Rt. 3, Alexander Corners, Henderson 315-938-5152 | April to October Privately maintained M60A3 Tank and a Cobra Attack Helicopter on site. Located next door to the Oliver and Cyrus Bates house, the only site in the town listed on the national register. Cape Vincent Historical Museum 175 North James St., Cape Vincent 315-654-3094 Cape Vincent’s history is brilliantly displayed here. The building, one of the oldest in the village, housed soldiers of the War of 1812. Handicapped accessible. Cornwall Brothers Store and Museum alexandriahistorical.com 36 Market St., Alexandria Bay 315-482-4586 | May to September Local history museum in a historic 1866 stone general store building, with changing exhibits about river life, boating and local communities. Henderson Historical Society Museum hendersonhistoricalsociety.com 12581 Co. Rt. 72, Henderson 315-938-7163 | May to January Housed in 3 buildings: former Universalist Church, circa 1839, the 1820’s Ray cabin, and the Peters-Stevens Boat Annex, which displays 12 Henderson-made wooden work and recreation boats from 1880s to about 1940s. Historical Association of South Jefferson hasjny.tripod.com 29 E. Church St., Adams 315-232-2616 | Year Round An 1850s-era house and antique home with farm and marine displays as well as Indian artifacts, local history and genealogy. Jacob Brown Mansion 216 Brown Blvd., Brownville 315-782-7650 | Year Round Home of Jacob Brown, founder of Brownville and a general during the War of 1812. Paddock Mansion JeffersonCountyHistory.org 228 Washington St., Watertown 315-782-3491 | Year Round 19th Century mansion, log cabin, one-room schoolhouse and Victorian gardens. Collections include Tyler coverlets, Native American artifacts, 1910 Babcock automobile made in Watertown. Pickering Beach Museum sacketsharborny.com 501 W. Main St., Sackets Harbor 315-646-1529, 315-646-2321 | July to August Historic house museum depicting life in the village of Sackets Harbor from the 1830s-80s. Roswell P. Flower Memorial Library flowermemoriallibrary.org 229 Washington St., Watertown 315-785-7705 | Year Round Historic library hosting tours by request; has more than 190,000 volumes, including collections of DVDs, videos, audio books and large print. Stone Mills Museum stonemillsmuseum.org 30950 Rt. 180, Stone Mills, LaFargeville 315-658-2353 | June to September Telling the development of agriculture industry in Northern NY through collecting, preserving and displaying materials related to the farm and farm houses. ONTARIO Battle of Windmill National Historic Site of Canada parkscanada.gc.ca/windmill Windmill Point Rd, Hwy. 2, Prescott 613-925-2896 | July to August Site of an 1838 Rebellion battle, featuring an 1830’s stone windmill with an observation level, exhibits, audio-visual presentation and gift store. Bellevue House National Historic Site parkscanada.gc.ca/Bellevue 35 Centre St., Kingston 613-545-8666 May to October Home to Canada’s first prime minister; restored house and garden staffed by period-costumed interpreters. Brockville Museum brockvillemuseum.com 5 Henry St., Brockville 613-342-4397 | Year Round Brockville’s history is one of the prominent manufacturers, formidable wealth, fascinating historical figures and vivacious ordinary people, interconnected by a dynamic river. Homewood Museum heritagetrust.on.ca/homewood 1372 Hwy. 2, Maitland 613-348-1246 | June to August Built in 1799-1800, this grand two-story house reflects seven generations of the Jones family, Loyalists who arrived in eastern Ontario in 1784. Mallory Coach House Mallorytown.ca 1523 Co. Rd 2, Mallorytown 613-923-5140 | June to September Built circa 1853 and has been used as a hotel, tavern, doctor’s office, farm house and as a residence. The attraction hosts art shows, provides a meeting place for local groups, and a place to showcase historical artifacts and documents. Murney Tower National Historic Site of Canada kingstonmuseums.ca Barrie and King streets, Kingston 613-544-9925 | May to September Built in 1846 as part defenses against American invasion. Houses military artifacts including a 32-pound cannon. Old Stone Mill National Historic Site deltamill.org 46 King St., Delta 613-928-2584 | May to December Ontario’s oldest operating stone mill, equipped with machinery, a turning water wheel and three floors of exhibitions. Admission is free and tours are available. Thousand Islands Boat Museum thousandislandsboatmuseum.org 125 Water St., Gananoque 613-382-8484 Waterfront museum showcasing collection of antique watercraft. ART ASSOCIATIONS New York Arts Association of Northern New York aanny.org 119 W. Main St., Sackets Harbor, NY 315-646-3502 | May to October Displays and sells artwork from Northern New York’s finest artists. Special exhibits, shows and monthly featured artists. Bay House Artisans bayhouseartisans.com 27 James St., Alexandria Bay, NY 315-778-5968 | May to November Gallery and gift shop offering fine hand-made art and craft products created by regional artists. Participating artisans are skilled producers working in a range of media including wood, fiber, metal, glass, clay, watercolor, jewelry and more. Breakwater Art Gallery breakwatergallery.com 263 E. Broadway, Cape Vincent, NY 315-654-4750 | June to September A not-for-profit gallery dedicated to the promotion of the visual arts and high quality crafted functional items. The gallery sells original works of art by Thousand Islands artists and hosts receptions with featured artists bi-weekly. Fibonacci 321 Art Gallery fibonacci321.com 321 James St., Clayton, NY 315-777-0612 | May to December Offers fine-crafted original work by artists from Northern New York specializing in wood, clay, fibers, metals, painting, drawing and glass. Thousand Islands Arts Center, Home of the Handweaving Museum tiartscenter.org 314 John St., Clayton, NY 315-686-4123 | Year Round Boasting a world-renowned textile collection and galleries presenting a wide variety of changing art exhibitions. The Arts Center offers a multitude of classes and workshops in a variety of disciplines, including weaving, pottery, painting and heritage arts. AMUSEMENTS & FUN New York Alex Bay 500 Go-Karts & Wilderness Falls Mini-Golf alexbay500.com 43772 Rt. 12, Alexandria Bay 315-482-2021 | May to October New York State’s longest at more than 1 mile long! Fully lit for safe night driving. Also try the 18-hole Wilderness Falls Mini-Golf course and amusement arcade with more than 50 great games and Subway sandwich shop. Bay Drive-In Theater baydrivein.com Rt. 26 & Bailey Settlement Rd, Alexandria Bay 315-482-3874 | April to November Drive-in movies on two screens. Concession stands available. Nightly June through Labor Day; weekends in April, May, Sept. and Oct. Black River Drive In Theatre blackriverdrivein.com Rt. 3 and Rt. 342, Watertown 315-773-8604 | April to October Showing the latest movies and located just minutes east from downtown Watertown and Fort Drum. Escape the Mystery Room allinadventures.com 21182 Salmon Run Mall Loop, Watertown 315-681-6343, 844-502-5546 Year Round Interactive and immersive escape room experience featuring multiple themes. River Golf Adventures rivergolfadventures.com 40168 Rt. 12, Clayton 315-777-0225 | May to September Water-themed 18-hole mini golf with covered turf and natural grass driving range. Now featuring bumper boats and treasure dig, arcade and snack bar. Sci-Tech Center scitechcenter.org 154 Stone St., Watertown 315-788-1340 | Year Round A hands-on science museum for all ages. Saturday children’s strategy game club and monthly astronomy observing nights. The Escape Works theescapeworks.com 140 Stone St., Watertown 315-771-0787 Year Round A physical adventure game where you and friends work together to solve puzzles, find clues and escape within 60 minutes. ONTARIO Escape Brockville escapebrockville.com 1 Water St. W., Brockville 343-264-5524 A live escape room housed in a vintage train car in downtown Brockville near the historic Railway Tunnel. Putt’n Play Mini Golf doitintheislands.com 787 King Street E., Gananoque May to October 18-hole, 1000 Islands-themed mini golf course featuring a waterfall. Quarry Links experttees.com 1165 Collins Bay Rd, Kingston June to September This 18-hole miniature course is a scaled-down version of holes from PGA courses. Sunni Mini-Putt sunnidell.com 1945 Sharpe’s Lane, Brockville 613-498-0775 | April to October An expert mini golf challenge that is fun for children and adults alike. RECREATION AREAS & TRAILS New York Chaumont Barrens nature.org/cwny VanAlystyne Rd, off Co. Rt. 125, Chaumont 315-387-3600 x22 | May to December 2-mile trail through rare alvar grassland, shrubland and forests. In late May, visitors can enjoy a diverse array of native wildflowers, including praire smoke, which can be seen no where else in the northeast. El Dorado Shores Nature Preserve nature.org/cwny Grandjean Rd, Ellisburg 315-387-3600 x22 A bird blind along the 1 1/4-mile nature trail provides an excellent view of the rugged Lake Ontario shore. Great vantage point for viewing ducks, terns and shorebirds. Grand Lake Reserve and Hiking Trails indianriverlakes.org Burns Road, Redwood 315-482-4757 | Year Round Between Grass and Butterfield lakes, with more than 5 miles of shoreline, totaling 6 miles of spectacular landscape with rich biological diversity, rugged geography and beautiful scenery. Grindstone Island Preserves, Potters Beach and Nature Trail tilandtrust.org Grindstone Island, Clayton (boat access only) 315-686-5345 | Year Round Potters Beach is one of the only naturally occurring sandy beaches in the Thousand Islands and has been a popular summertime destination for generations. The Grindstone Island Nature Trail winds its way from Canoe Point to Picnic Point state parks. Thompson Park watertown-ny.gov 1 Thompson Park, Watertown 315-785-7775 | Year Round Historic city-owned park overlooking Watertown. Designed by Frederick Law Olmstead, the architect who oversaw Central Park in New York City. The park contains the Thompson Park Vortex, a constantly relocating location said to mysteriously teleport visitors to other areas of the park without explanation. Marc A.F. Baker Island Reserve indianriverlakes.org Burns Road, Redwood 315-482-4757 | Year Round Located on Grass Lake with more than 2.5 miles of undeveloped shoreline. Just a short paddle from the Grass Lake boat launch, the preserve is reachable only by water. The trail begins and ends at the dock located on the north end of the island. Otter Creek Preserve and Nature Trail tilandtrust.org Outer Church Street, Alexandria Bay 315-686-5345 | Year Round 1.9 miles of trail for walking, hiking, crosscountry skiing and snowshoeing; also offers dramatic views of both Otter Creek and Lynch Creek. A portion of the trail is ADA-accessible, with highlights including a cable suspension bridge and wildlife observation tower that overlooks the Golden-winged Warbler Demonstration Area. Zenda Farms Preserve, Community Garden and MacFarlane Trail tilandtrust.org 38973 Zenda Farm Rd, Clayton 315-686-5345 | Year Round The preserve is surrounded by 405 acres of wetlands, forest and hay meadows maintained for wildlife habitat and a trail for non-motorized use. Redwood Hill Preserve indianriverlakes.org 44010 Stine Rd, Redwood 315-482-4757 | Year Round Enjoy a spectacular view of Butterfield Lake from atop the dramatic sandstone bluff. Two trail options totaling 1.2 miles of easier trails for hikers of all skill levels. Brock Trail brockvilletourism.com Brockville waterfront 613-342-4357, 888-251-7676 Year Round A 7km walking and cycling path that runs along the beautiful waterfront in the historic downtown core and continues north through to the other end of town. This scenic pathway is paved to accommodate bicycles, roller blades, wheelchairs and strollers. The Trail takes you to Canada’s oldest railway tunnel. S. Gerald Ingerson Preserve and Sissy Danforth Rivergate Trail tilandtrust.org Clayton 315-686-5345 | Year Round 140-acre preserve south of Clayton; successional shrublands, oak, pine and maple forests and McCarn Creek, a tributary to French Creek, which protects and guards important spawning habitat for fish species and serves as a filter to clean water that flows into the St. Lawrence River. It includes two miles of trail that is restricted to non-motorized traffic. Charleston Lake Provincial Park ontarioparks.com 148 Woodvale Rd, RR 4, Lansdowne 613-659-2065, 888-ONT-PARK May to October A cold water lake and popular resort area; the rugged rock landscape and gentle rolling are the perfect backdrop for backpacking, hiking, fishing, swimming, canoeing or camping. Mac Johnson Wildlife Area crca.ca 4649 Debruge Rd, Brockville 613-546-4228, 877-956-CRCA (2772) Year Round Featuring hiking and cross-country ski trails, winter skating, picnic area including a shelter, nature centre and two canoe launches. AGRICULTURE STOPS NEW YORK Burrville Cider Mill burrvillecidermill.com 18176 Co. Rt. 156, Watertown 315-788-7292 | September to November One of Jefferson County’s oldest establishments; built in 1801. Tour the mill and be greeted by the sweet smell of North County apple cider and freshly fried cider donuts still too hot to touch. Cross Island Farms crossislandfarms.com 44301 Cross Island Rd, Wellesley Island 315-482-FOOD(3663) | Year Round Farm tours by appointment on 102-acre organic vegetable and livestock farm. Learn about organic farming, collect fresh eggs, pet a baby goat and see sustainable energy projects. U-pick in-season berries. Farmhouse Maple farmhousemaple.com 22341 St. Rt. 180, Dexter 315-486-5981 | Year Round A 70-acre farm with a 2,000-tap maple sugar bush and a state-of-the-art sugarhouse that provides the taste of maple for the 1000 Islands region. Maple production is in early spring as weather permits. Tours available all year. Home Again Alpaca Farm homeagainfarmalpacas.com 37098 Schell Rd, Theresa 315-628-5302 | Year Round Come fall in love with curious and gentle alpacas. Slow “drive-by” viewing is encouraged, or you may call ahead for an appointment for a full farm tour and personal introduction to alpacas of various ages, colors and personalities. The 50-acre farm includes a vineyard. NATURE EXHIBITS NEW YORK Minna Anthony Common Nature Center nysparks.com 44927 Cross Island Rd, Fineview, Wellesley Island 315-482-2479 | Year Round Covers 600 acres within Wellesley Island State Park and has nine miles of trails. The 3,500-square-foot nature center is full of family friendly exhibits including live animals. Annual Autumn Festival is the Saturday of Columbus Day weekend. New York State DEC Research Station & Aquarium dec.ny.gov/outdoor/27069.html 541 E. Broadway St., Cape Vincent 315-654-2147 | May to October Five tanks with fish native to local waters. Public site open to picnics, overnight docking (48 hour maximum) fishing and restroom facilities, all handicapped accessible. SPAS NEW YORK River Wellness Center riverwellness.net 814 Riverside Dr., Clayton, NY 315-767-7391 | Year Round Enjoy a massage to unwind and clear your mind. If you are looking for a romantic treat, schedule a couples massage. ST. LAWRENCE RIVER FERRIES NEW YORK Horne’s Ferry hornesferry.com 319 Club St., Cape Vincent, NY 315-783-0638 May to October Seasonal auto ferry between Cape Vincent, NY, and Wolfe Island, ON. ONTARIO Wolfe Island Ferry mto.gov.on.ca Kingston and Wolfe Island, ON 613-385-2402, 800-268-4686 Year Round Auto service between Canadian mainland and Wolfe Island. Simcoe Island Ferry wolfeisland.com Wolfe Island, ON 613-385-2997 May to September Ferry between Canadian Wolfe and Simcoe islands. RIDEAU CANAL CRUISES ONTARIO Ontario Waterway Cruises Kingston, ON 705-327-5767, 800-561-5767 May to October 45-passenger riverboat with dining room, lounge and twin lower berth cabins with private facilities. Rideau Heritage Cruise lines Kingston, ON rideaucanalcruises.com 613-345-7333, 888-229-9913 Half-, full- and multi-day cruises along historic 126-mile canal. Voyageur Canoe Tours rideauroundtable.ca Smiths Falls, ON 613-269-3415 Interpretive tours along the Rideau waterway in 34-foot replica canoes with costumed guides. Tours last approximately 1.5 hours. All craft beverage producers are open Year Round unless otherwise stated. Adventure Sports DIVING Clear water and a bounty of wrecks make the St. Lawrence River and eastern Lake Ontario a must-do for divers. Hook up with a charter service from Spring through Fall for a guided trip or stop into one of the shops and grab whatever you need for your 1000 Islands diving adventure! ON THE WATER NEW YORK Boomerang: Kayak & Bicycle Rental boomerangbikeandkayakrental.com 17204 Coast Ave. W., Thousand Island Park 315-525-3172 April to November Bicycles and kayaks for rent; singles and tandems available. Call for group rates and guided tours. Operating from two locations: Thousand Island Park, Wellesley Island, and near the entrance to Wellesley Island State Park. Sail Ontario sail-ontario.com 124 Pike Rd, Sackets Harbor 315-783-2755 May to October Guided sailing charters including sunset cruises, half-day, full-day and multiday outings plus certified sailing instruction onsite. Sail boat rentals also available. SUP Sackets Harbor supsacketsharbor.com 125 Pike Rd, Sackets Harbor 315-777-5357 Specializes in stand-up paddle board guided trips, rentals, yoga, instruction and sales. Head out onto the lake for personalized trips for join a planned yoga or sup and sip outing. Providing rentals directly from our waterfront location. Promoting Island camping on Parks Canada and ACA Sugar Island. Personal launching with your own kayaks is available. Charleston Lake Watersports charlestonlakewatersports.ca 20 Little Bay Lane, Athens, ON 613-924-1794 June to September Waterski and wakeboard school. Providing tows and instruction on Charleston Lake. All equipment provided. WHITEWATER RAFTING The Black River has some of the most exhilirating whitewater on the east coast! Hire one of our outfitters running from May to October to guide you down Class III-IV rapids, catered to any skill level. Enjoy an actionpacked day of rafting, food, fun and memories. ON LAND NEW YORK 1000 Islands Bicycle Rentals 1000islandsbicyclerentals.com 129 Mill St., Watertown 315-786-8800 Year Round Online bicycle rental service offering pick-up and delivery options to your site. Rentals are weekly and include helmets. Dry Hill Ski Area skidryhill.com 18160 Alpine Ridge Rd, Watertown 315-782-8584, 800-379-8584 December to March Offers affordable family skiing, night skiing, snowboarding and snowtubing. Instruction and rentals, food service and lounge are also available. Located just south of Watertown. Horseback Trail Rides 35948 Rt. 12, Clayton 315-405-5775 Scenic guided horseback rides just south of Clayton. Spencer Valley Zip Lines spencervalleyziplines.com 44575 Stine Rd, Redwood 315-767-3235 May to October Zip more than 1,000 feet over a scenic open field approximately 10 miles from the St. Lawrence River. Spencer Valley Ziplines provides fun for the whole family, with a bouncy house, nature trails, jungle gym, picnic areas and outdoor family games all on site. Please call ahead. Thousand Islands Snowmobile Club 1000islandssnowmobileclub.com 315-921-6464 Snowmobile trail maps, produced by the Thousand Islands Snowmobile Club, are available at the Clayton Chamber of Commerce, 517 Riverside Dr., downtown Clayton, NY, and at area restaurants. ONTARIO Thousand Islands Bicycle Company thousandislands.com 613-803-3482 May to October Guided bicycle tours, rentals and cycling transportation service. Trips typically begin in and around Gananoque and Brockville including full-day tours and short city tours. Back Bay Marine | 5 Riverside Dr.
Prices from $58 per night We offer modern rooms & efficiencies. All rooms include microwaves, refrigerators, HD flat screen cable TV & FREE high-speed internet. We are walking distance to a 24-hour restaurant, convenience store and golf course. Enjoy complimentary coffee from the office in the morning. Take exit 48 off I-81 and go east on NYS Route 342 through the traffic light 700 feet for affordable rooms and friendly service. Shaw’s Mobile Home Park, Inc.	42665 Seaway Ave.
f being on or near the water is your idea of a great vacation, then you absolutely must experience how much better it is in Brockville! View the 1000 Islands up close on a high-speed adventure boat or enjoy a leisurely afternoon or dinner cruise aboard a tour boat with the 1000 Islands and Seaway Cruise Company. It’s a relaxing, comfortable and intimate cruising experience on the St. Lawrence. Departures are from downtown Blockhouse Island. Blockhouse isn’t an island anymore, but we still call it one! During the construction of Canada’s first railway tunnel in 1860, a place was needed for the excavated material and presto, the island was transformed into a peninsula! It’s a great spot to view freighters, do some fishing, or get a closeup look at Brockville’s resident Tall Ship, The Fair Jeanne. She’s a beauty and she will be joined by nine other ships during the Brockville Tall Ships® Festival Aug. 31 to Sept 1. Experience the Highland Difference 3111 Parkedale Ave W Brockville, ON Exit 696 N off Hwy 401 mail@brockvillehighlandgolf.com www.brockvillehighlandgolf.com 613-342-7883 Brockville’s oldest 18 hole golf course and one of eastern Ontario’s best! Don't forget to check out the Rideau Canal! elax and create lasting vacation memories on the Rideau Canal this season. Experience North America’s longest-operating canal system recognized as a National Historic Site of Canada and Ontario’s only UNESCO World Heritage Site. Picture cruising along its 202 kilometres (125 miles) of unforgettable shorelines. If you don’t own a boat, there are many options to get on the water from houseboat to paddle board rentals. Europe’s largest, selfdrive boating vacation company, LeBoat, is adding to its Canadian fleet again this season and has a new satellite location in Seeley’s Bay in addition to its North American headquarters in Smiths Falls. his quintessential river town has undergone a revival in recent years to offer new places to stay, dine and play while preserving the small town vacation traditions that has made it a favorite among visitors for more than a century. of the 1000 Islands in Luxury. » 105 Deluxe Guest Rooms & Suites » Grand Ballroom & Conference Center » Seaway Grille, 1000 Islands Bar & Riverside Patio » Indoor Swimming Pool & Jacuzzi » State-of-the-art Fitness Center » Concierge Services & Business Center » Destination Weddings! ust west of the Thousand Islands International Bridge is riverside Gananoque, the perfect spot for a 1000 Islands vacation that mixes smalltown charm, outdoor adventure and unforgettable experiences. Fun awaits in “Gan,” from swimming at Joel Stone Park and biking along the Parkway to kayaking among the Admiralty Islands just off shore. It’s the only place in the region to view the islands from way above, via 1000 Islands Helicopter Tours or SkyDive Gan. Gananoque’s easily accessible waterfront is the perfect launching point for cruising along the St. Lawrence River via either the many sightseeing and dining tours aboard Gananoque Boat Line or with a private fishing charter departing daily in season. Catch a glimpse of island history at the nearby Arthur Child Heritage Museum and Thousand Islands Boat Museum, both located in the harbor! Just down the shoreline is the Thousand Islands Playhouse, offering professional theatre in an intimate venue right on the water with docking for arriving at shows via private watercraft! Come for the Theatre, Cruising, Dining and play in our Casino too! An emerging culinary scene and mix of traditional, locally owned lodging and recognizable chains make Gananoque the ideal spot for a 1000 Islands vacation. shuffleboard, walking path, gazebos and more! Steeped in history yet always changing. Where culinary, culture and creators meet. quiet picturesque community located on the north shoes of the St. Lawrence River, the Town of Prescott is known for its beauty, charm, culture and heritage. Spanning the entire community shoreline, Prescott boasts unprecedented public access to the waterfront, connected through trails, a public beach, parks and green spaces, harbour and marina, and public boat launch. In Prescott, history and culture can be found at every turn. Enjoy a live outdoor theatre performance by the St. Lawrence Shakespeare Festival or a Sunday Night Concert Series at the Kinsmen Amphitheatre, docking at the 148slip Sandra S. Lawn Harbour & Marina, or a visit to Fort Wellington National Historic Site. Enjoy the beautiful architecture of the downtown RiverWalk District, home to many speciality shops and services. Enjoy a stroll through Shakespeare’s Gardens in this nationally-acclaimed Communities in Bloom community. We’ve got a Taste for History SACKETS HARBOR AND THE TOWN OF HOUNSFIELD invite you to stay for a day, or spend the weekend, and take a taste of our History. Photo by Joseph T. Meirose IV. Classic 19th Century Stone Architecture Sparkling Harbor ~ Marinas ~ Lake Ontario Vista War of 1812 Battlefield Maritime & Military History Museum Tours ~ Art Galleries ~ Restaurants Specialty Shops ~ Historic B&Bs & Boutique Hotels Brewery ~ Winery ~ Farm Tour Tea & Coffee Houses ~ Local Cheese Shop Seasonal Festivals ~ Maple Products (315) 646-2321 Visit us: www.sacketsharborny.com Sponsored by the Village of Sackets Harbor, in partnership with the Town of Hounsfield and the Sackets Harbor Chamber of Commerce, Inc., and with Watertown Savings Bank. istoric Sackets Harbor, a New York State-designated Heritage Area, offers excellent restaurants and overnight accommodations as well as specialty shops, modern marinas, trails, and outdoor recreation. Concerts, seasonal festivals and events offer visitors a range of activities. Begin your visit at the Sackets Harbor Visitor Center in the 1803 home of founder Augustus Sacket. Watch a video about the maritime community’s history, pick up a tour map and explore. The Sackets Harbor Battlefield features exhibits, period-costumed interpreters and a guided historic home tour. The site hosts the annual War of 1812 Weekend reenactment. A nationally recognized history trail, military cemetery and Madison Barracks are open year ‘round. Celebrate cross-border friendship at the Can-Am Festival parade in July with music, food and entertainment. The Arts Association of Northern New York offers classes, an art gallery and Plein Air festival. Enjoy Sunday Concerts on the Waterfront July through Labor Day. The historic Union Hotel hosts the annual Sackets Harbor Quilt Show on Columbus Day weekend, as well as speaker programs and concerts. With daily flights on American Airlines to Watertown International Airport from Philadelphia International Airport, youâ&#x20AC;&#x2122;re just one connection away from the 1000 Islands using dozens of airports in North America and the world. Try our small airport experience . . . free parking, short lines, personal service. Located five minutes west of Watertown on State Route 12F (Coffeen Street Exit from US 81). New! Check ou our Onta t Road Triprio s! Lifeâ&#x20AC;&#x2122;s better on the water Sparkling bays, lakes and rivers; laced together in this great region of majestic waterways. Welcome to the world famous 1000 Islands. Step aboard a guided cruise to Boldt Castle and experience the 1000 Islands like they were meant to be seen. Experience the magnificent Castle as this 3.5-hour cruise takes you to the most famous of the 1000 Islands, Heart Island, an eternal monument to the memory of a manâ&#x20AC;&#x2122;s love for his wife. Cruise through the American and Canadian spans of the 1000 Islands before a 2-hour stopover at the Castle, where you will step back in time to explore its romantic legend. Tour With Our FREE Mobile App Download Now! Family Days~ ~Sat. June 15, 10 a.m.– 3 p.m. & Sat. Sept. 7, 10 a.m.– 3 p.m.
Boldt Castle is owned and operated by the Thousand Islands Bridge Authority. The Thousand Islands International Bridge is a major link between I-81 in New York State and Highway 401 in Ontario.